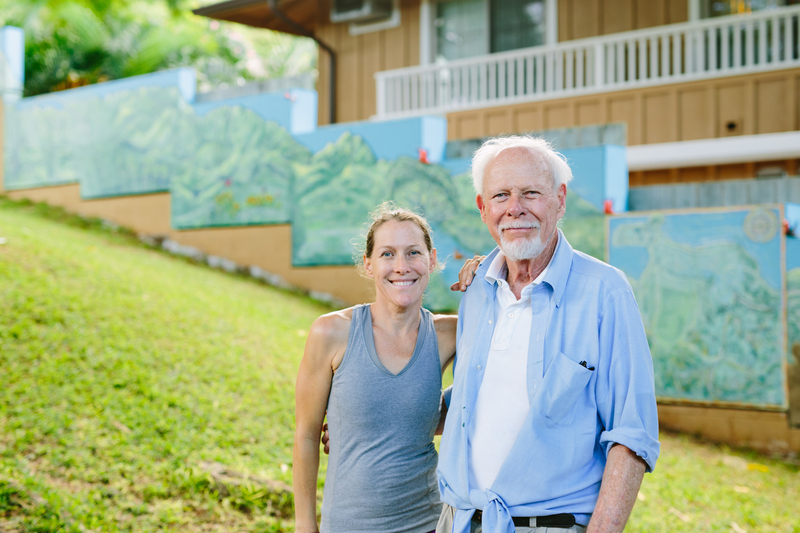 With the completion of this 100ft multi-sensory mural, this father-daughter team has created a playscape that is designed for children to learn as they play and explore the environment that surrounds them. 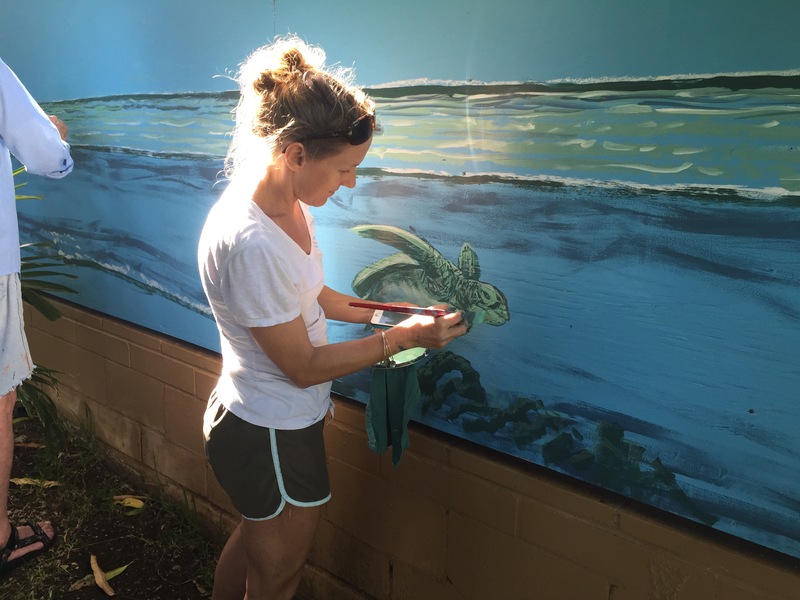 Bethany Leah Brown, mother, artist and pediatric occupational therapist has lived in Hawaii since 2002. 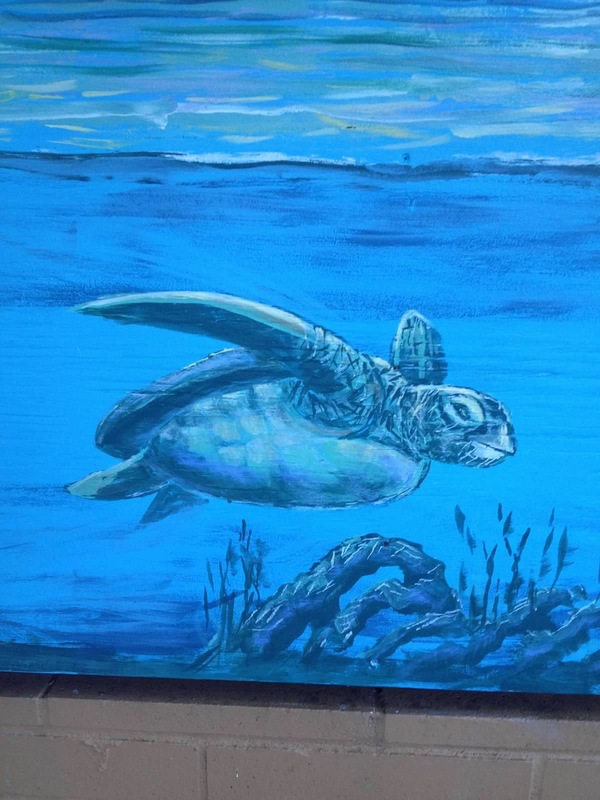 Bethany’s win in a high school art contest provided her with a full paid scholarship to a fine art program in Palm Beach Community College, where she received an AA degree in fine art. Her Masters in Occupational Therapy degree was completed at Nova Southeastern University in Davy, Florida. As a pediatric occupational therapist, she has focused on the use of the body’s multisensory systems to help increase kids playing and learning skills. Integrating her art background, she uses contrasting colors and tactile mediums to create art with special needs children. 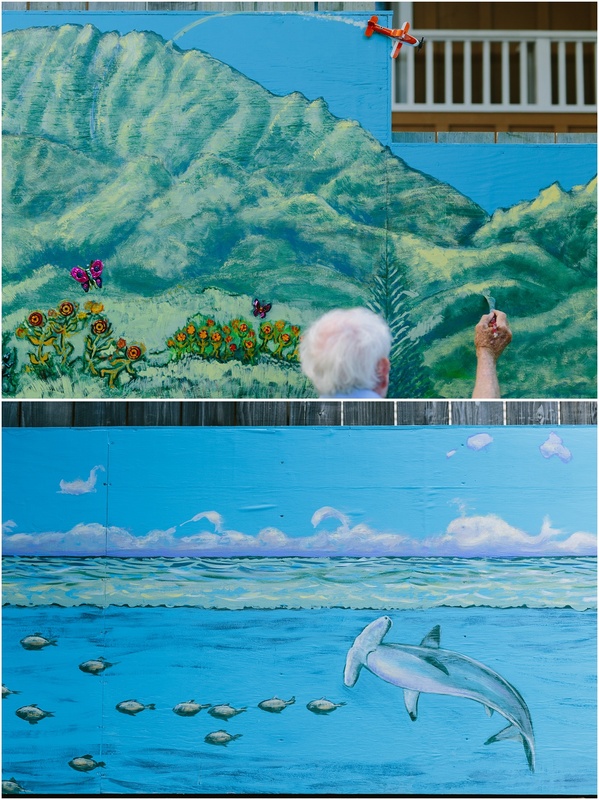 Bethany paints with aloha and joy. Preferred subjects include nature and human nature with a bright and playful expression. 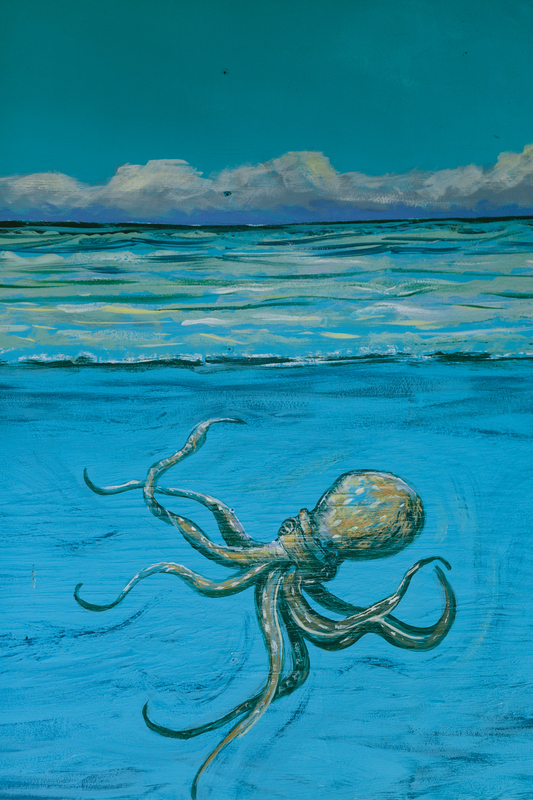 Bethany’s signature artistic style includes the use of art as poetry by merging written words with expressive images. She describes her father as her first and greatest artistic influence. 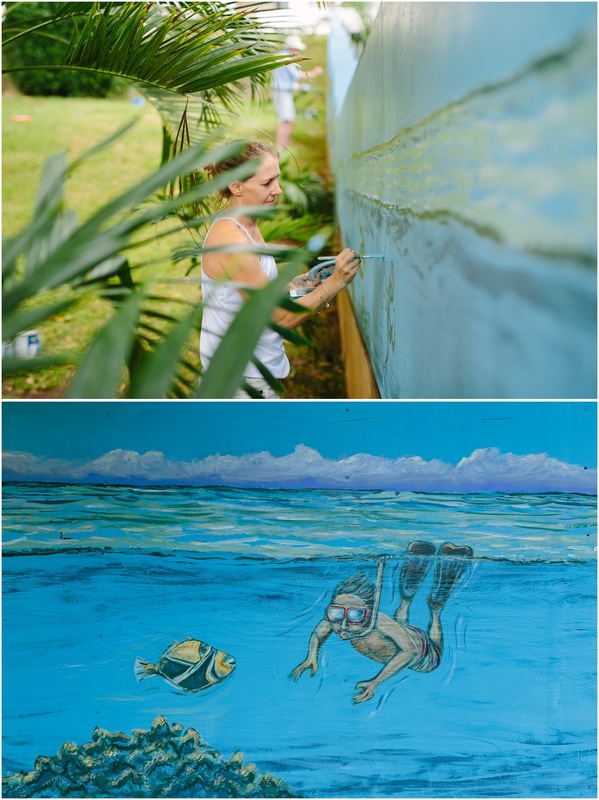 When not painting or working as an occupational therapist, Bethany delights in play time with her two small children and enjoys practicing the art of surfing when she still can! 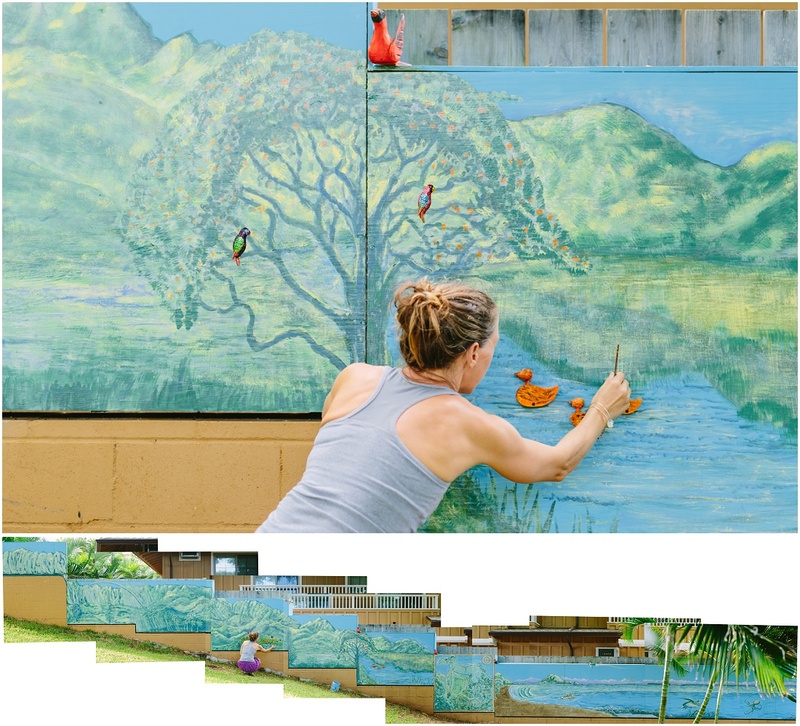 Commissioned public works of art–Bethany’s art images can be found on the face of Whole Foods Kailua as collaborated with mosaic artist Leah Rigg. The artist Madalyn Joyce, Richard’s stepmother, was his first influence in expressing himself with sketches. Later he studied painting with James Penney (Hamilton College), Ng Kung Fu (Hong Kong), Walt Bartman (Yellow Barn Gallery), and the artists at the Corcoran Museum School in Washington, DC. Richard’s interests have mainly been in portraying in oils the tranquil or active personalities of people, animals, landscapes and townscapes. Between two careers as a U.S. Foreign Service Officer in a dozen posts abroad, he designed and helped build and operate the Bristol Owl Gallery in Bristol, Vermont. He exhibited and sold his work there, and in such locations as Glen Echo, MD; Washington DC; Vientiane, Laos; Nicosia, Cyprus; Yaounde, Cameroon; and Istanbul, Turkey. 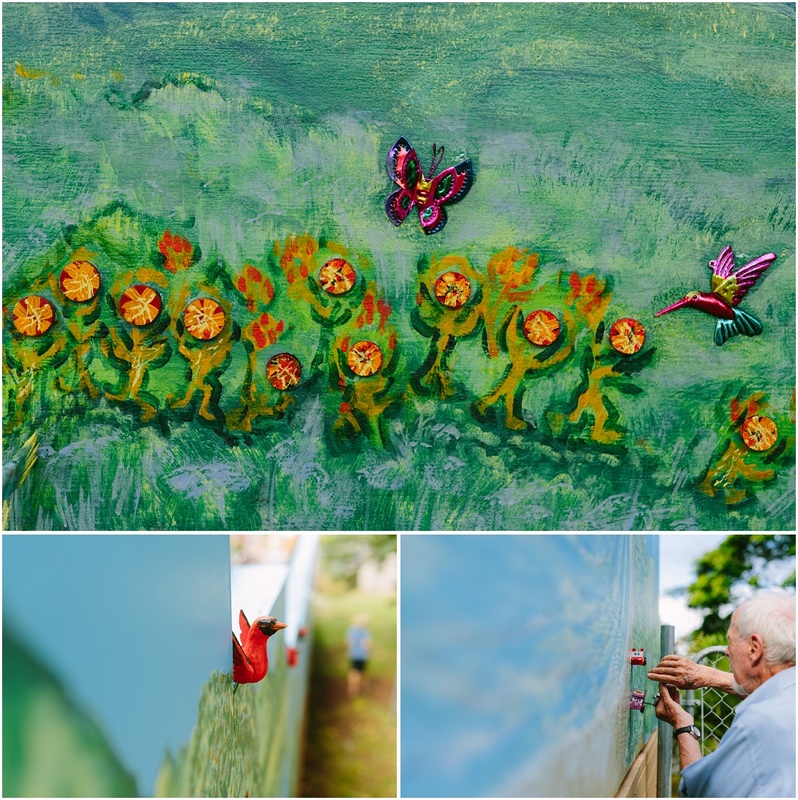 His first effort at helping to organize and complete a major wall mural was in a park next to the U.S. Embassy in Baku, Azerbaijan. 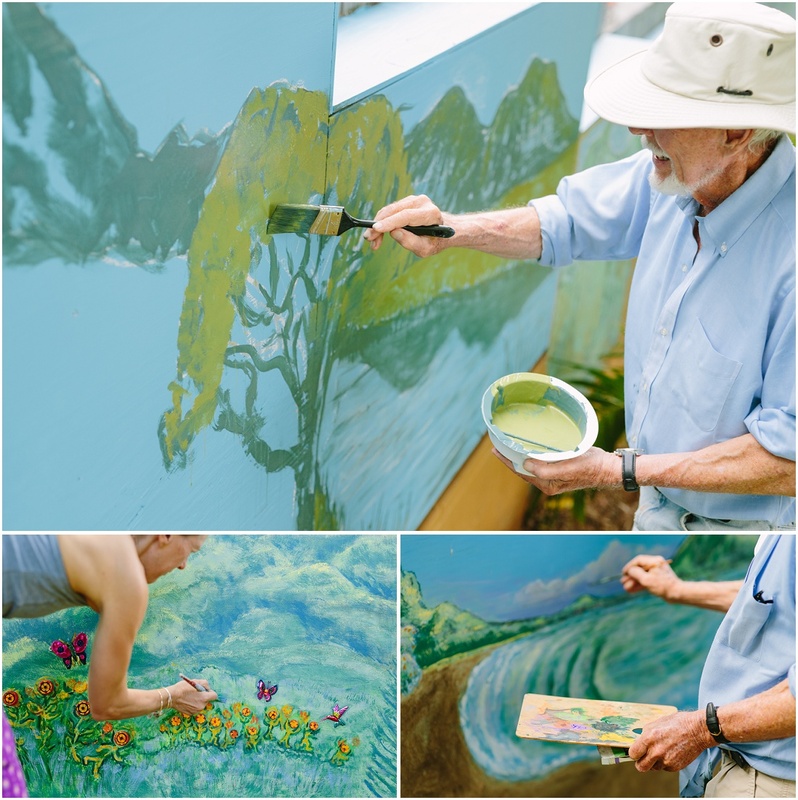 For the past ten years, he and his wife, Marget, have lived in San Miguel de Allende, Mexico, where they have a studio on the roof of their house and an 18-foot mural on one of the walls. 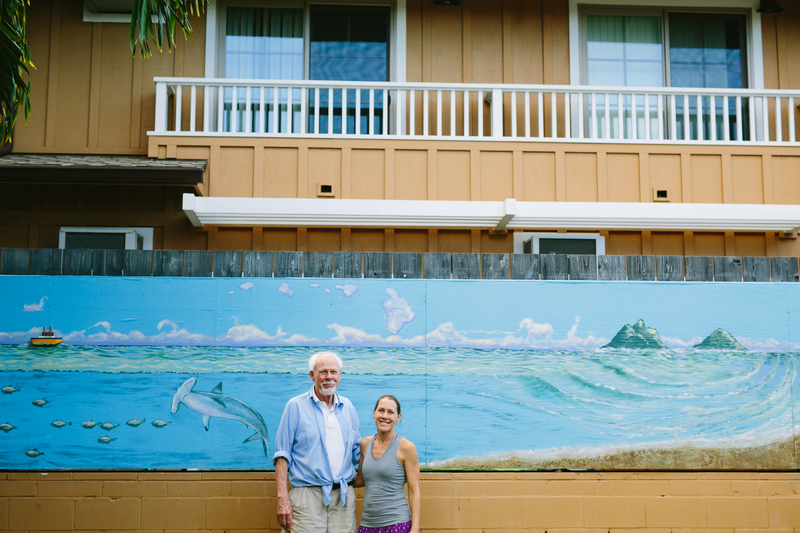 Richard was delighted to be invited to help his artist daughter, Bethany Brown, in creating the 100-foot long wall mural for her children’s school in Kailua, HI. I hope it brings much pleasure to all the children, teachers, and participating parents there.